I have never considered wearing false lashes. I always considered them something for theater . . . not for every day life. If you look closely, you will clearly see that the middle of my eye lacks almost any lashes. When I was very young, I had chicken pox, and they spread to my lashes. They removed them from the root because of fear of blindness or infection in my eye. Up really close you can clearly see the section with no lashes still, but farther away (what most people would be), you cannot tell AT ALL. This was my first attempt at putting them on, and I think I would have gotten a bit closer to the lash line, but overall I think they look amazing for the first time. AND natural. Eylure Naturalites Natural Volume lashes are what I tried. It comes with an adhesive which is easy to apply, and you can use them with contact lenses. They did not irritate my eyes at all. In fact, I could not even tell they were there once I put them on. Eylure-- you have a new fan! Eylure sent me these and other products (more reviews to come soon!) to review here on MamaBreak. They did not require a positive review and my opinions are my own. OH WOW! The difference is amazing!! It is amazing. I need something like that. I will look into this product for sure. They would really be nice for special occasions. Thanks! WOW! That is awesome! They look fabulous! And not fake like a lot I have seen! Good job! I'd be scared too, but they sound so easy, I bet I could do it!! Wow, what a difference! That's awesome :) I'm obsessed with having long lashes, and at times will wear fake ones. I'll have to check out Eylure. I like that they look natural! That is amazing, my bff has blonde eye lashes too and is always saying how she wishes hers would stand out! I am going to tell her about it! Wow what a difference!! I love eylure! Those look great! I wonder if my clumsy hands could put them on too! I think ANYONE could apply these. I really am the clumsiest person I know, and I had no problems! They look great! Now when people ask me I know a company to tell them about! Thanks! I reviewing them to. 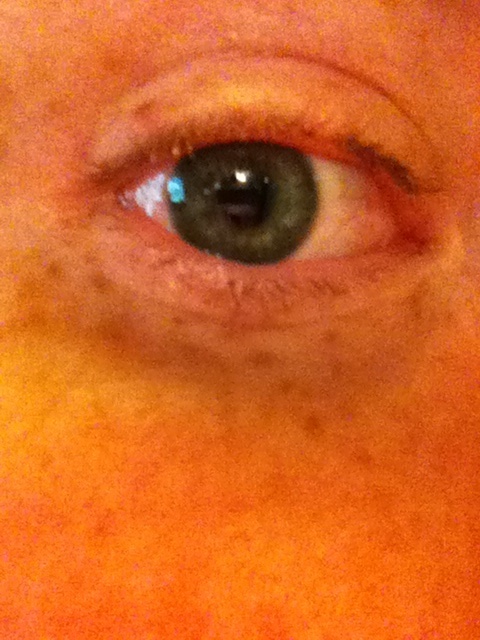 The hardest part is taking a pic of your eye with and without. Well done. Looks great. 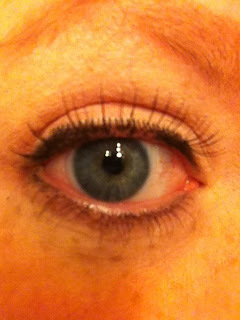 Hmm..I have very thin lashes as well but I am hesitant to try them. Maybe one day I will be brave enough to try. Cool!! You can actually see a huge difference with Eyelure on! I like that they look natural.